The light editor in stripix is a useful tool to light static objects. The reason for this is because statics do not have control of the lights around them and are not affected by them either. Therefore you can create your own lights and shadows to simulate some sort of light behaviour. In the tutorial I will show you how to light the Tr3 shiva statues correctly. 5. It is looking better already. However without light there is no shadow so now we need some shadows. Set your slider to 23 and again, click on the areas (usually the reverse of where you clicked for light) to add some shadows. 23 is not the highest but 31 tends to look too strong in game. 6. Now it is looking much nicer and much more realistic. Now simply save your WAD and test it in game. Basically unchecking some of the boxes in the light editor means that the light you are trying to apply won't affect that vertex. Also, it is important to note that if you decide to retexture/re-import something after changing it the lighting will not be saved. It is advised to do the lighting on the static object at the very last stage of the object, when it is perfect and is not needed for change. Replace solid.bmp in the stripix2 folder with one like this. Backup your original. Then when you view in solid mode you can tell what vertex is what. For quads (4 vertex polygons) red is vertex 1. 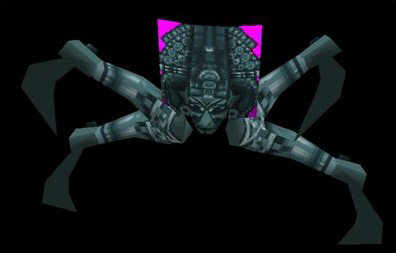 Then you go clockwise so pink is 2, green 3 and blue 4. Vertice1,vertice2,vertice3 and vertice4 DOSENT MEAN the same corner in every face in your model; at least not from the point of view you usually see in all faces. 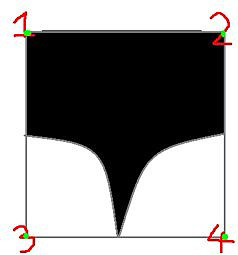 They point to the order of the corner used in the face WHEN IT WAS DRAW IN THE CAD TOOL. In strpix3 (and sister program pixstr2) faces are defined in clockwise order; it work for rectangles and triangles; vertex1 mean the first vertex DEFINED in the CAD program for start drawing the face, vertex2 mean the 2th vertex DEFINED and so on. 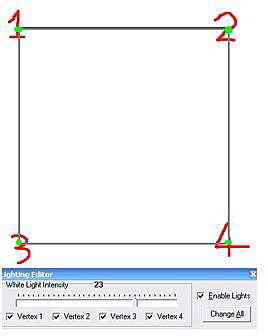 Then the texture applied to it will be seen as normal and the light editor will light the corners like in the diagram. 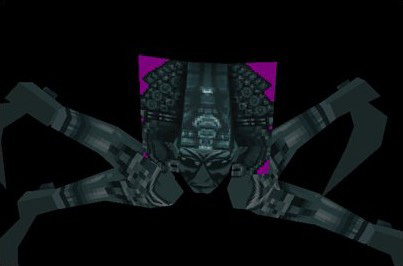 When you see it in strpix3 it is just a rectangle like the first one, however it was drawn starting from the bottom left corner; the texture will be seen rotated and the light editor will light the corners like in the diagram order. 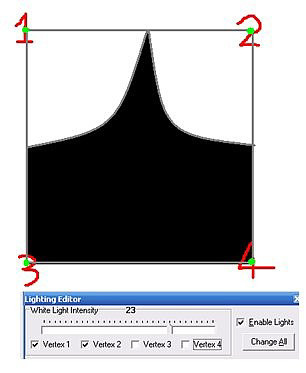 If in meta you draw all rectangle and triangles starting from the upper left corner then the texture when applied in strpix3 will be seen as normal and the light editor will light the corner like in the diagram. 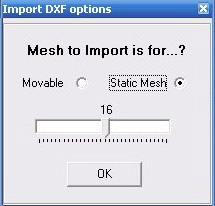 I am talking here about CAD tool that allow you to draw faces defining vertex by vertex; some others tools have a shortcut where you just mark a block with the mouse and they will generate the primitive (boxes, cylinder, rectangles') but those are just shortcut, all faces indeed have a vertex order when they are draw.